1. NOBODY CAN TELL YOU WHAT’S BEST FOR YOU. 4. BE KIND AND GENEROUS. IT COMES BACK TO YOU. 5. YOUR ENTHUSIASM AND INTEGRITY ARE YOUR BIGGEST ASSETS. This is so true! Thank you for sharing such inspirational thoughts! Thank you too for stopping by my blog. It is such a treat to have a visitor from Bulgaria! Gracias por tu comentario, hace ilusión. Curiosamente vivo entre Asturias y Mallorca. Y además de esta empresa, soy abogado. Visitaré tu blog de vez en cuando. Just what I need today…!! these are good words to live by.. Thanks so much for your Australia Day wishes to me… I haven’t been online this past week so sorry I am tardy in thanking you!!! but you are really sweet to think of me.. These are truly inspirational and very wise. oooh i needed that boost today! thanks!! A very positive, happy post – love it! Thank your for yhour comment and visiting my blog! Surrounding myself with positive people is usually the missing link. Great list. Great advice. Your blog is one of those positive, smart places I enjoy coming to. Thank you for the blog birthday wishes, I truly appreciate your comments. I like the first advice the best! It is so true! All of that is so true, my friend! Have a lovely new week!!! Danke für den Besuch auf meinen Block. Ich habe mich wirklich sehr gefreut einen Kommenar in Deusch zu erhalten. Dein Block gefällt mir sehr gut, ich werde Ihn weiterhin lesen. Vielen dank, grüsse. such inspiring words! i, too, love swiss-miss. thanks for commenting on my blog! Fantastic inspiration, I especially agree with point number 4! Hope you had a great weekend!! Thanks for stopping by Ideezine.blogspot.com and leaving a comment. Positive thoughts create positive actions and the more we see it, say it, and do it…then It is Possible and I agree. Great advice!! AGree with it all! Thanks for these clever words, it’s really necessary to remind yourself about it now and then. A remarkable post, wisdom words! Very inspiring words! Such a great way to start a new week-thank you! Wonderful! 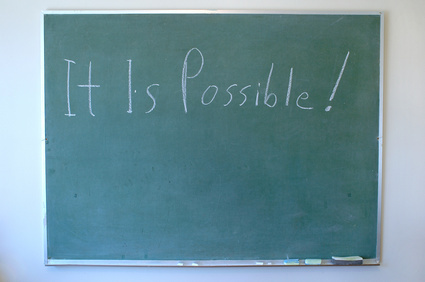 It is indeed all possible. wow excellent post and I agree with all of that (might have to bookmark this) I do wish people would just stop and be kind and generous..just stopping and taking the time to be kind doesn’t cost anything and it is one of the nicest things a person can do. I think that your spanish are better than my english. Such great advice! This should be everyones motto! This is all I needed to start my week. Thank you!!! I just loved Tina’s list — and hearing her speak in person only made Alt that much better. These lessons are really important for our lives too, not just when it comes to blogging. This is the perfect guide for a happy life. I wish you a fabulous week. These are wonderful! I can always use a little inspiration. Thanks for visiting my blog! Be sure to stop by again soon. Great post and great blog..glad I found out. So true about a happy life! Wonderful sentiments. I am new to blogging but loving it…please visit me, I think you will like what you see..all about the building of our new home and my passion for fine decor/design. Thanks! Wonderful post! Loved reading this!